It's easy to forget that drones are essentially flying computers. And as autonomous flight features become the new standard, drones are quickly becoming computers that think for themselves—which is exactly why Maldrone is such scary software. 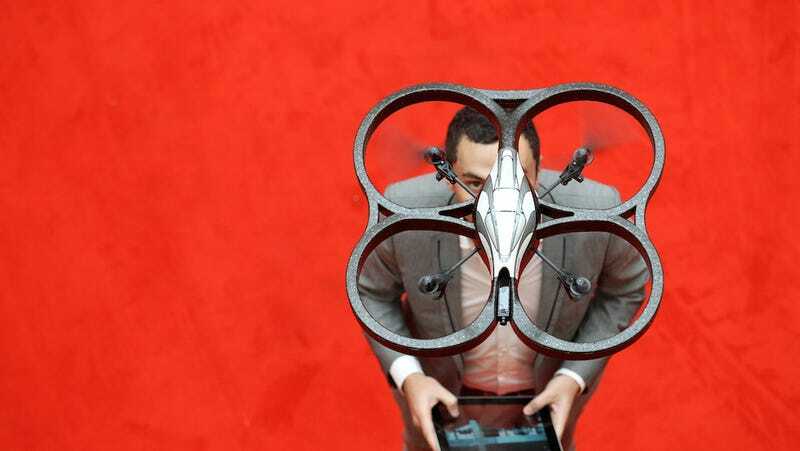 Maldrone bills itself as the "first backdoor for drones." Developed by security researcher Rahul Sasi, this malware tricks a drone's autonomous decision-making unit into handing over control to a hacker. Once the drone has been infected, that hacker can do anything from flying the drone to the destination of their choice to making the drone just drop out of the sky. Imagine if a Maldrone-infected aircraft was flying over a crowded even and suddenly the engines cut out, sending the drone straight on top of someone's head. In the future, software like Maldrone could target delivery drones, rerouting expensive goods from their appropriate destination to a hacker-thief's lair. And even Sasi admits that Maldrone would make remote surveillance pretty straightforward. Sasi demonstrated Maldrone's ability in a demo and outlined the specifics of the malware on a hacker forum. This isn't the first time someone's developed malware for UAVs—it really isn't—but it is unique for a few reasons. First of all, as Sasi himself points out, past malware targets the drone's API, whereas Maldrone goes straight for the brain—the autonomous decision-making unit. And unlike past hacks that were specific to a particular make and model of drone, Maldrone is designed to work with any drone software. The demo shows the malware taking over a Parrot AR drone, but Sasi says he's also implementing the malware on a DJI Phantom. If you own a drone, don't freak out. Maldrone is still very limited. You can see in the video that Sasi can only infect a drone from close proximity, so your favorite flying robot will be fine so long as you keep an eye on it.